The Spoon brand started out at a small food fair in SW London. We had no background in food or business and no idea of the hurdles that were lying ahead of us. But with our notices handed in at work, we naively set out on our mission to make breakfast better. The idea was to launch a cafe that would serve busy commuters a fresh and healthy bowl of cereal that they could pick up on their way to work. Six months down the line and several pop-up excursions under our belts, the business took a pivot into wholesale. Our focus became granola and crafting the best recipes possible that would stand up against all the other granolas on the retailer shelves. The great thing about granola - contrary to some people's beliefs - is that it's not complicated. Neither of us had any training in cookery but baking endless trays of granola was something that we learnt ourselves pretty quickly. Once we had decided on the best ratios of grains to nuts and sugar to oil, it was then simply a case of experimenting with all kinds of fruits and spices to come up with a range of recipes that had the wow factor. 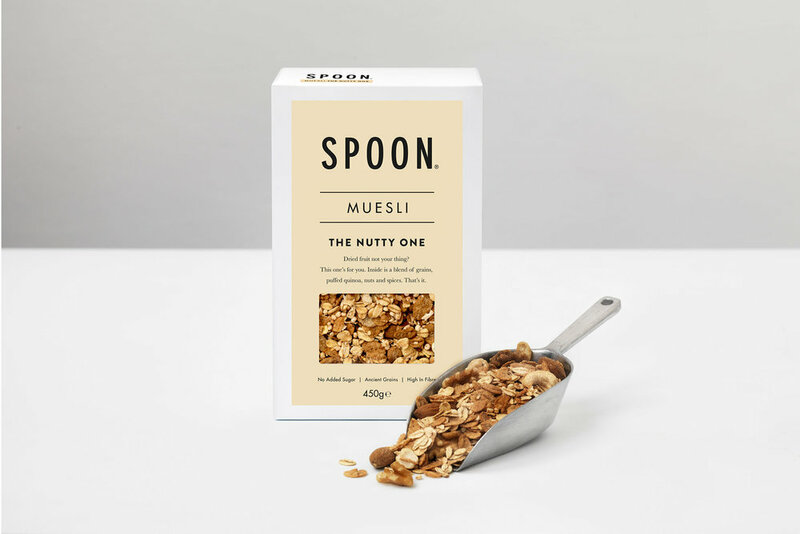 The clean list of ingredients in our recipes was the inspiration behind Spoon's simple and minimalistic packaging design, which at the beginning existed as make-shift white tin-tie paper bags, and stickers for our logo. 'Putting ourselves out there' at the very beginning meant we were able to fine tune our recipes and packaging based on our customer’s feedback and the market research we were gathering over time. 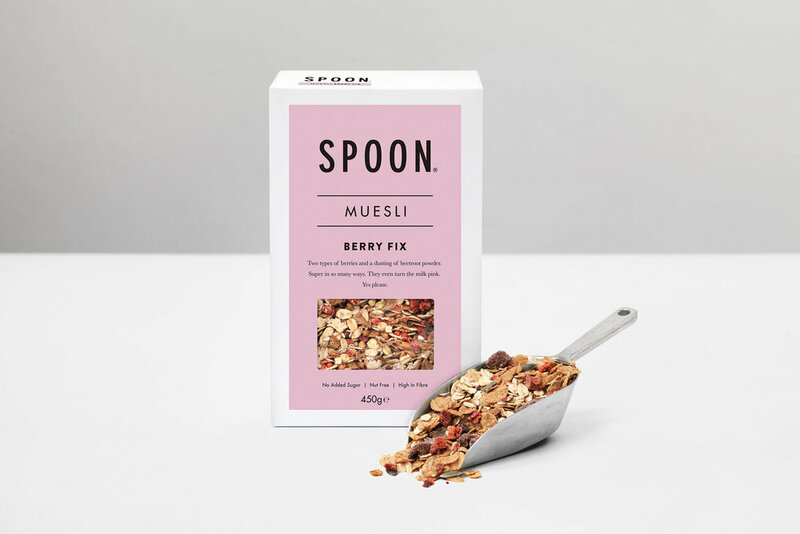 The decision to try something different to the tried-and-tested rustic, natural look and feel of many other granola and muesli brands was a risk worth taking. We found out pretty quickly that our audience were drawn to the clean, simple style that we had created for Spoon. As well as this, we were able to carve out a new positioning within a crowded market. The brand packaging also allowed us to gain new and loyal customers by speaking to them the way we wanted food brands to speak to us, in a straight-forward way. At Spoon we are constantly looking to improve where we can. People are taking a greater interest in the food they are eating, resulting in an ever-changing food industry landscape. Food trends come and go, however, our mission has stayed the same. How can we be sure that we are delivering our promise every day? The answer is in the way we work as a company – consistently inventing, updating and improving our recipes, packaging and communications in order to make breakfast better for everyone.